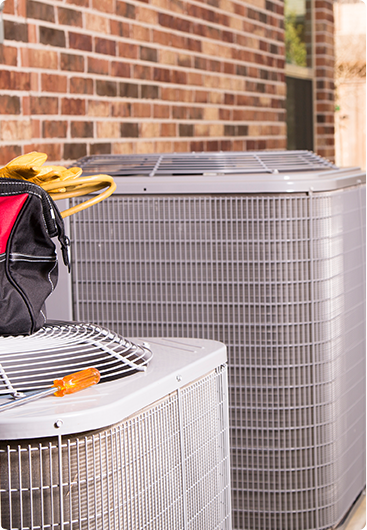 There is nothing enjoyable about trying to beat the heat without an air conditioner. It's time to do away with the old methods, and bring in the new. Here at TWINTECH, we offer a large variety of solutions for keeping your home comfortable in the hot summer months. Each installation of our high-efficiency cold-pumping air conditioners come with a quality name and custom installation done by HVAC experts. We have models for any project you might have, and will build all necessary connections and ductwork in house. TWINTECH is committed to making your home cool, comfortable, and at the right price. Need repairs? TWINTECH can help with that too! Our experts can help make sure your existing system is running at peak performance. TWINTECH has experience with a large variety of makes and models, so we are confident we can deal with any issues you might have. No project is too large or too small. We offer free, no obligation quotes, so please feel free to contact us. We will be happy to provide you with the information you need to make a decision about purchasing a TWINTECH high-efficiency quality-installed air conditioner. Beat the heat with TWINTECH! 2. They had a quote with options for me. They were clear about the entertainment of what they would and would not do (they’d build duct work, id need another contractor to box in ductwork). This allowed me to plan as I was my own general contractor for my renovations). 3. They spoke to me in the language I understood, neither too technical nor too simple. They answered all my questions as I had them. Everyone is so lovely to work with, the sales team and the contractors who are worked in my home. 4. It’s been 4 m since the work was complete. They still answer my emails and my furnace is working very well! I unabashedly recommend! Price, customer care and quality workmanship were all amazing! On one of the coldest days of winter our furnace stopped working. Our regular furnace company came and told us we had a CO2 leak and shut us off. Their quote for a new furnace was way too high and they couldn't even install it on the same day. TwinTech was recommended to us by a friend. We called and spoke to Dave who was very nice and knowledgeable. Grant showed up a short time later and a new furnace was installed the same day with no troubles at all. Best of all, we received a higher-end furnace than what was offered by our previous company and at a cheaper price. I would recommend Twintech with no hesitation at all. Great sales member named Dave came in told us some amazing items and how they would be priced installed an all. We couldn’t believe it! The next day the ac was installed, that day one employee named Greg told us that our furnace was working way to hard and was causing us to use way too much gas. So two days later they came in an installed a new furnace! Installation was done quickly and professionally. The new furnace is quiet and provides even heat.